While following Blender Guru's rope tutorial, I found that my nodes are different than his. Among other things, I don't have an input slot called "displacement". In reading through what I could find in StackExchange, I got the impression that I needed to turn on the "experimental" stuff. 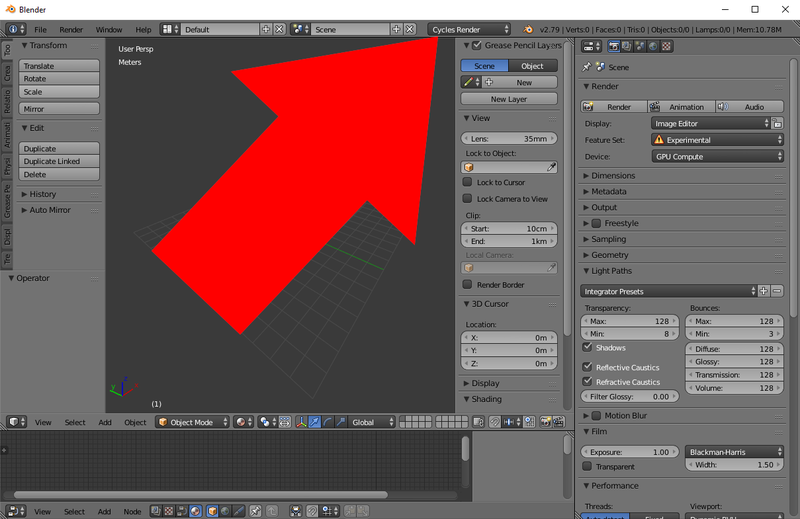 The methods suggested either didn't exist on my Blender (turning it on in the Render Properties -feature does not exist on my Blender) or has no effect (selecting "Testing" in the add-ons properties menu). I confess that I am a relative novice and have basically only used it for some simple 3d modeling and am just learning how to use nodes but I have a project where I could really use this tutorial. What do I need to do to get my nodes to have what I need? I have tried various versions of Blender, including the 3.0 beta and it all looks the same. Please remember that I am a novice and many of you seasoned veterans can easily talk over my head. Where are all the new features in 2.79B?